Even though it is just the first week in February, the sculpture garden has it first bloom! 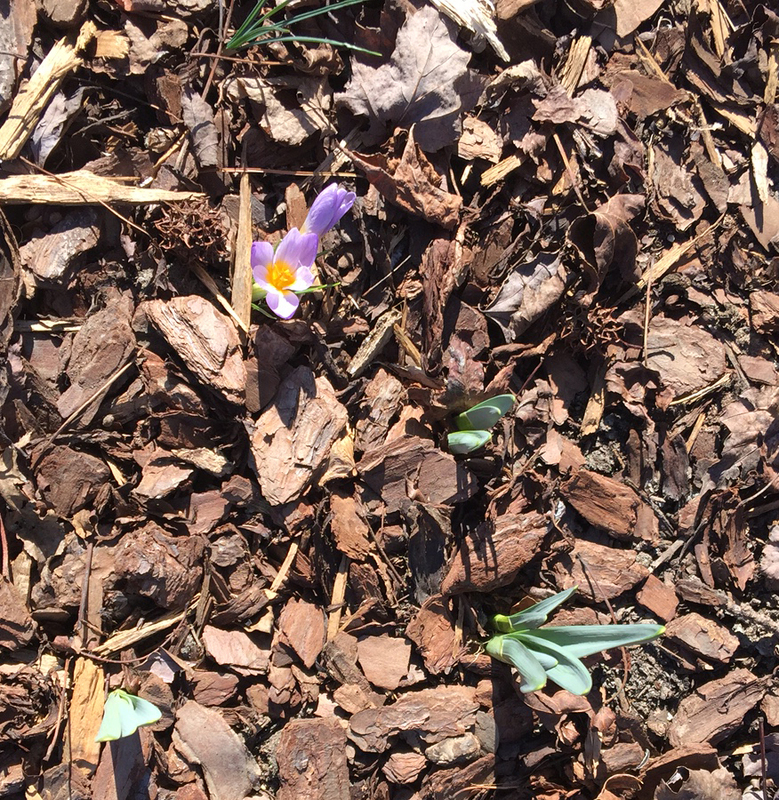 This beautiful little crocus is just peeking through the mulch. Looks like quite a few more blooms are on the way soon. Can't wait for spring!